These cute little house dishcloths! I decided I had to make some right then. So for the last several days, I have been knitting little houses. The pattern is called The Nineteen Hundred House Dishcloth. It was $3.00 for the pattern, and it was $3.00 well spent. 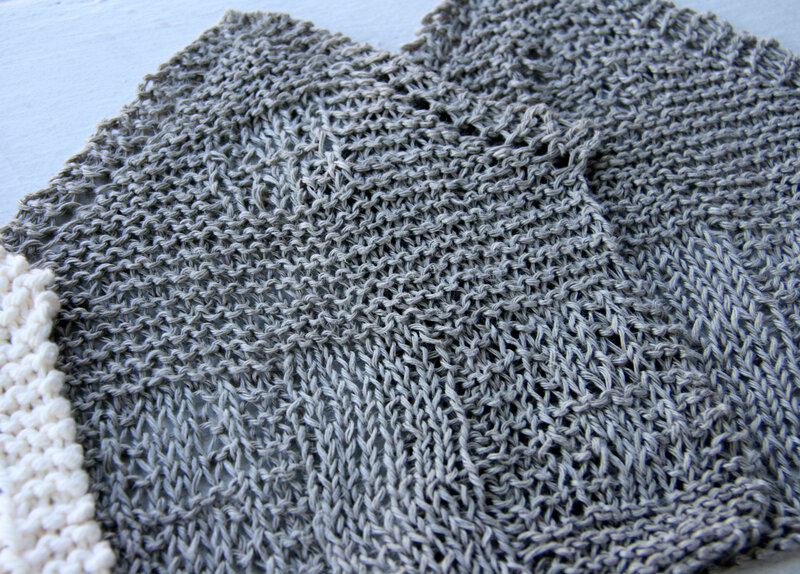 It’s one of those very simple patterns with just knitting and purling stitches. Very easy and they go quickly. I began making the houses with some linen that I had. I liked the linen, but then I wanted to try them with cotton because I thought the stitches might be more defined. Davey helped me arrange the houses into a picture, and he decided the linen dishcloths should serve as the shed (or barn?). He set them off from the other houses. What is fun too is that I adjusted the pattern by just omitting some rows so that I could make the houses different heights. I just spent a few minutes looking around at the designer’s ravelry, and I found a West End apartment house pattern. It looks like great fun too! I am thinking they will be great housewarming gifts! This entry was posted in Knitting and tagged cotton, dishcloth, linen, Nineteen Hundred House Dishcloth by cpeezers. Bookmark the permalink. Very cute and I agree that they would make great house warming gifts! Oh my goodness…these are fantastic. You are spot on, these would make for a great house warming gift.